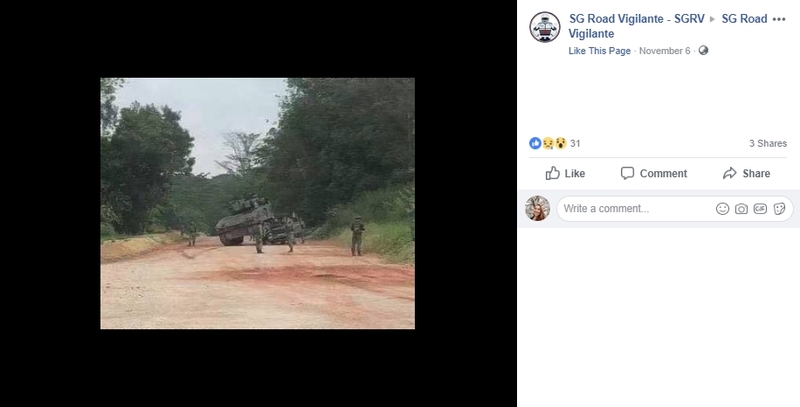 The Singapore Civil Defence Force (SCDF) has filed a police report against five of its full-time national servicemen (NSFs) who took and leaked a photo of an accident involving a Bionix vehicle and Range Rover at a Singapore Amed Forces (SAF) training ground. The photo was posted on SG Road Vigilante's group Facebook page and has been circulating on social media. It shows a Bionix vehicle on top of a crushed Land Rover with SCDF personnel and an ambulance in the background. 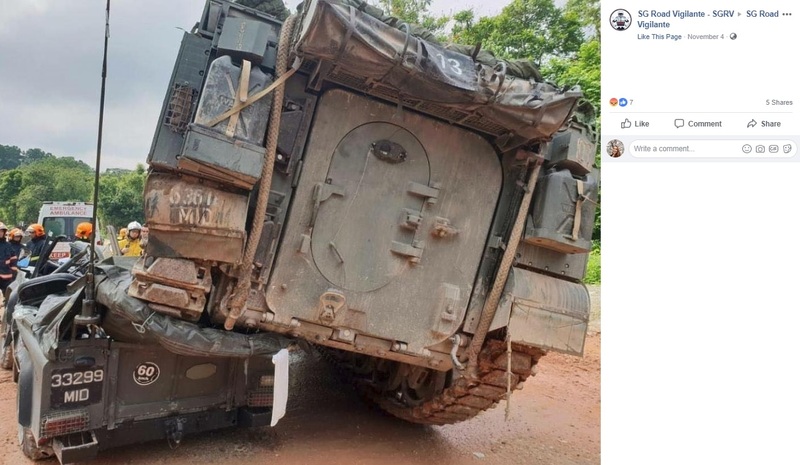 Corporal First Class (CFC) Liu Kai was operating the land rover when a Bionix armoured fighting vehicle reversed into it as part of a field training exercise at Jalan Murai training area on Saturday (Nov 3) at about 10.10am. He was pronounced dead about 25 minutes later. Hundreds gathered at Mandai Crematorium on (Nov 6) to pay their last respects to CFC Liu. In response to a Stomp media query, the SCDF said two of its NSFs who responded to the accident took unauthorised photos of the scene and sent them to some of their fellow NSFs via a WhatsApp chat group. Three of the NSFs who received the photos subsequently forwarded them to their friends before one photo subsequently appeared on social media. "SCDF takes a serious view of the matter and has filed a police report against the five NSFs for their unauthorised actions," a spokesman said. Stomp understands a second photo of the accident was also posted on social media. The second photo was taken from afar and shows the two vehicles and SAF personnel surrounding them. It is unclear who leaked this photo.